SHARMINI PERIES: Welcome to The Real News Network. I’m Sharmini Peries coming to you from Baltimore. 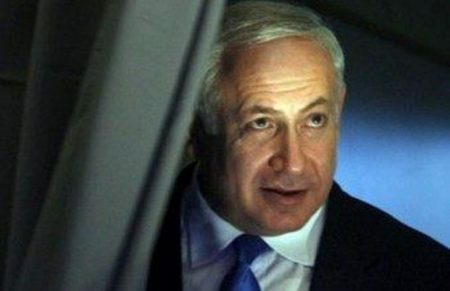 A German multinational arms conglomerate, ThyssenKrupp is accused of bribing Israeli Prime Minister Netanyahu, or people close to him, to buy submarines from Germany. To take a closer look at the scandal, Im being joined by our correspondent in Germany, Shir Hever. Shir, thanks for joining us today. SHARMINI PERIES: So Shir, I understand that this scandal that broke last week, but is now occupying much of the Israeli and German press, so what is exactly going on and what is ThyssenKrupp accused of? And, what is the response of the Israeli Prime Minister? SHIR HEVER: Well, when Israel started buying submarines, a lot of people from ThyssenKrupp, it raised some eyebrows. Because why would Israel even need submarines? This is a very specific kind of weapon for naval warfare. Israel has no potential enemies with a navy. But there were talks about Israel planning to use the submarines on an attack on Iran. So, this goes back many years ago. This discussion started in about 2002. But when the United States signed the nuclear arms deal, the nuclear deal with Iran, and made it pretty much politically impossible for Israel to make a unilateral attack on Iran, Israel went on to order three additional submarines. And, at that moment, then people were rather surprised. Why would Israel need those submarines? And, the answer that was given is that these are only to replace the old submarines that Israel has already bought from Germany a while back. At that point, Prime Minister Netanyahu jumped in and corrected this report in the press, and said, ”No no. Israel is going to increase its fleet of submarines from six to nine.” And, at that moment, the whole scandal erupted because it became clear that actually the previous Minister of Defense of Israel has been very much opposed to spending so much money on these submarines. The navy in Israel actually says they dont need these submarines, they dont want them. So why is Israel spending so much money? Just to make it clear, each one of these submarines costs about half a billion dollars. This is the most expensive weapon in the Israeli arsenal and its completely useless. Its also interesting the way that, in Germany where the submarines are produced and in Israel, the way the whole story is reported. Because, in Germany, it’s considered to be sort of gift that the German state gives to Israel with a big discount. Also, some of that discount at the expense of Holocaust survivors who live in Israel. And, instead of paying those Holocaust survivors, the German state would give Israel a discount on these submarines. While not really discussing what these submarines are for, how can they possibly contribute to … security. While, in the Israeli press, there’s no secret of the fact that the submarines have been fitted to be able to carry nuclear weapons. They’ve been specifically changed so that they can shoot nuclear missiles — that seems to be no secret at all in the Israeli press. But the whole idea of taking money from Holocaust survivors, that has not really been reported by the Israeli media. SHARMINI PERIES: And, what kind of dollars are exchanging hands? First of all, tell us a little bit more about the German company — why theyre paying millions of dollars, I understand, to Israeli middlemen that is handling all of this, and the accusations of bribery that is going on? How do we know all of this? SHIR HEVER: Yeah, I think the only way to really understand the complexity of this story is to realize how “not special” it is, how “not unique” it is. In fact, we have almost the same story happening in Greece, a couple of years ago. And, I think everybody knows that Greece experienced an economic meltdown, a financial catastrophe that brought the whole state to its knees. But, not a lot of people know what a major role the arms industry played in that financial crash. The German government, while it was imposing austerity on Greece at the same time, was selling tanks and submarines — submarines produced by ThyssenKrupp, the same company — to Greece, which Greece was unable to afford. And, in fact, Greece was building its quite impressive submarine navy — again, for no purpose other than to fill the coffers of this German arms company and other. At some point, Vice Admiral Stelios Fenekos from Greece resigned in protest of that scandal. And, today, the former Defense Minister of Greece, Akis Tsochadzopoulos, is serving a 20-year jail sentence for the corruption case. So, in fact, thats just how the industry works. What they do is they hire a middleman — usually it’s a man — and pay him quite a lot of money as a part of the deal. In the case of the Israeli submarine scandal, the name of that middleman is Micky Ganor. And he received — well, there are conflicting reports, but between 10 and 60 million euros for his role in convincing the Israeli government to buy these submarines. And he was paid by the German company, by ThyssenKrupp. Now, the interesting thing is that Netanyahu, the Prime Minister of Israel, appoints Micky Ganor to become one of the senior security advisors. And, Netanyahu claims that he had no idea that Mickey Ganor works for ThyssenKrupp, and represents the company in the submarine deal. And, now, the whole defense of Netanyahu, against this corruption case, resides on this assumption that he did not know that he was promoting this guy Micky Ganor to become a senior security advisor, while he’s being paid by a foreign arms company. And, it seems, actually, that there is very solid evidence that Netanyahu did know precisely what was going on. And that not only did he do that, but also his closest lawyer, sort of the family lawyer called David Shimron, was also being paid by the same company, by ThyssenKrupp, in order to facilitate the deal. And, Netanyahu has fired his Defense Minister who opposed the submarine deal, and pushed for that submarine deal with all of his political might, in what now appears to be an attempt to just make sure a lot of money flows his way, and to the people close to him from this German company. Now the German company is conducting an investigation, and they’re saying that they might actually have to cancel the whole deal because there are strict regulations against that, and people can go to jail. One of these people who might go to jail is Prime Minister Netanyahu in Israel, which would be a very dramatic turn of events after he has served as Prime Minister for many, many years in Israel. SHARMINI PERIES: Shir, how do we know that Netanyahu has benefited directly from this? Now, we know people around him and people who has hired and put on his payroll are involved, but how do we know Netanyahu is directly involved besides defending the deal? SHIR HEVER: Well, so far, there is no direct evidence of money going into the pockets of Netanyahu. What we know is that there is a billionaire called Packer who is financing Netanyahu and involved somehow in the submarine deal. So, we dont know exactly how that billionaire fits into the story, but we do know that he has actually supported Netanyahu in various ways, paid for his trips, that sort of thing. So… also gave benefits to his family members, to his children, for example. SHARMINI PERIES: Right. And this isn’t the first time such corruption scandals have, you know, landed on Netanyahu’s lap. There have been other ones. Why is this one so different? SHIR HEVER: Yeah, I think all of the very many corruption cases that landed on Netanyahu, for the last few years, have all fizzled at some point, because he was able to do very good media work. He has a very large team. And, also, that he was able to appoint a State Attorney that was friendly to his position, and to make sure that everything is functioning. But, now, whats going on, actually, is that there are so many open corruption cases against Netanyahu that he’s only able to keep working with the help of his close lawyer, David Shimron. David Shimron is trying to fend off all of the various corruption accusations when suddenly, he himself, now the lawyer is involved in the corruption case. And, that makes a big difference. Because, once the lawyer is implicated, everyone would expect the lawyer to resign. But he cant because Netanyahu relies on him very much. So, instead, he took a lie detector test. And, the lawyer wrote the question for the lie detector test himself, and asked himself, “Did you inform Prime Minister Netanyahu that Micky Ganor, this middle man, is working for ThyssenKrupp?” And he answered, “No.” And, he was found to be telling the truth by this machine. However, when he was asked, “Can you also add another question to the lie detector test, and ask yourself did you inform somebody close to Netanyahu about this, and that person might have told Netanyahu?” — he refused to take the test again. And, I think thats something quite telling, and because of that the Israeli media is pushing on this on a daily basis — every newspaper except for the one newspaper paid by Sheldon Adelson, which is Netanyahu’s pocket newspaper — all the other newspapers are making that their headline story. And, this time, it looks that Netanyahu will not be able to get out of this very easily because the evidence is simply overwhelming. The German government supported the deals in the name of their historical obligation, following the Holocaust, to support the State of Israel, rather than to support the Jewish people. And, now, when becomes exposed that it was actually a corrupt deal in order to make money and provide the Israeli navy with submarines they don’t even need, this is something that’s not only going to change the political situation in Israel and Germany, but also the relation between the two states are going to be changed dramatically. SHARMINI PERIES: Alright. Shir, I thank you so much for your report, and well have you back very soon on this.